New Delhi, India: Aam Aadmi Party (AAP) led Delhi government has reportedly completed all formalities for jail transfer of Sikh political prisoner Prof. Devender Pal Singh Bhullar in Punjab. The family members of Prof. Bhullar had applied for his jail transfer from Tihar Jail (Delhi) to Central Jail in Amritsar. 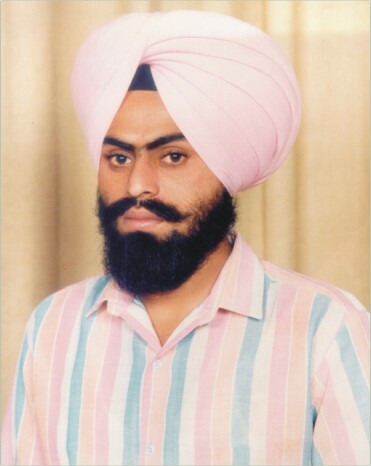 Prof. Devender Pal Singh Bhullar is jailed in Delhi (Tihar Jail) for last two decades. He was sentenced to death in fractured decision by a TADA court. He remained on death row for around thirteen years and his sentence was commuted to imprisonment for life in March 2014. Aam Aadmi Party leader Jarnail Singh Journalist said that the AAP government in Delhi has cleared all the formalities for jail transfer of Prof. Bhullar. 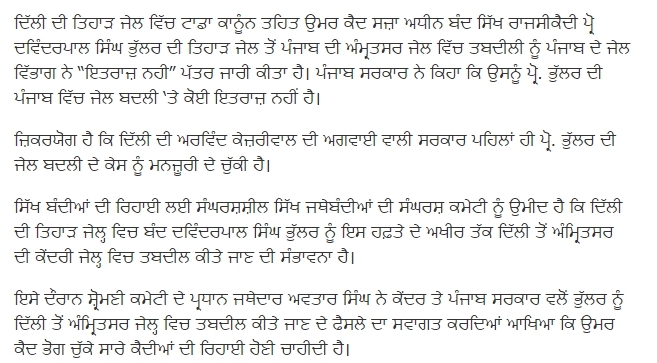 He said that a “no-objection certificate” is already granted by Arvind Kejriwal led government and Prof. Bhullar will be shifted to Amritsar jail after Punjab government completes formalities on it’s part. Previous post AMAZING PICTURE! – This image speaks a thousand words of the current events in Jammu and the RESOLVE of the Sikh People!